The classic game of the goose arrives to play it in all the places where you are. Get the game of goose before your opponents. 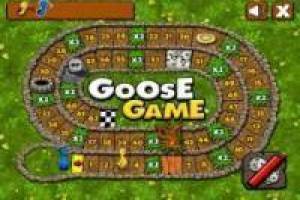 Enjoy this game of the online goose where the player will have to overcome all the obstacles of the board without falling into the well, bridge and jails. If you prefer you can play it in the APP or on any device with an Internet connection. Have a good time trying to overcome all obstacles to get to the end of the boxes before their opponents. Good luck!. Enjoy the game The goose game online, it's free, it's one of our table games we've selected.